Scott Adkins star of Ninja ,El'gringo ,Expendables 2 and more is set to appear at the Birmingham Comic con at the NEC on Saturday the 22nd and Sunday the 23rd of March 2014. Along with many other stars from TV and film Scott will be on hand for a photo shoot and Autograph signing. 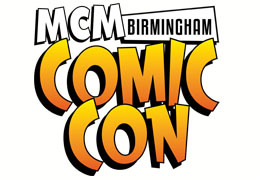 MCM Comic Con is a great media event to see the latest games,meet the stars and hear about up coming projects from TV and and Film production companies. Along with a vast range of Media sellers as well as film collectables on offer to buy as well.